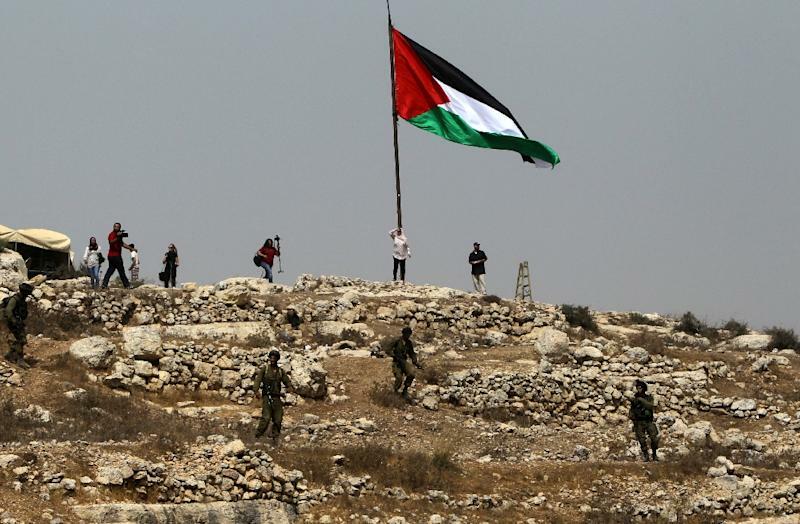 Washington (AFP) - Six Palestinians came to Washington to secure support against Israeli plans to raze their tiny West Bank village of Susiya, and at the last minute found assistance from US Senator Dianne Feinstein. The hamlet, which has already been torn down before and mainly consists of tents and makeshift structures for homes, is among a number of communities threatened with demolition by the Israeli army and has become a symbol of the occupation of the West Bank. For Susiya's proponents, any gesture or public recognition, regardless of how small, by an elected member of the US Congress is a boost they can use as leverage in pressuring Israel's authorities. The State Department warned this summer that demolition of the village would be "harmful and provocative." Since then the army has been deliberating about the issue, and a deadline has been set for 13 October. In an attempt to win over powerful potential backers in Congress, many of whom are supportive of Israeli Prime Minister Benjamin Netanyahu, members of two Palestinian families arrived September 19 in the US capital. They leave Thursday. "We are here to ask you to support us. It's enough. We are very tired," Fatma Nawajaa, a Susiya resident told a US Senate briefing Monday that consisted of 15 Senate staffers. She came with her four-year-old son, a nephew, and a couple from nearby Um Al Kheir village and their child. The trip was arranged and funded by the American non-governmental organization Rebuilding Alliance. The villagers also traveled to New York, where they met journalists at a major daily newspaper. "Keep the families together," implored Aysar Nawajaa, the 14-year-old nephew. Some 300 people live in Susiya, located in the hills near Hebron. They live mainly on farmland, and their community has had no running water or electricity since they were expelled 30 years ago from the village's original location. The Israeli Defense Ministry unit which oversees civilian Israeli activities in the Palestinian territories has declared that Susiya does not have the appropriate permit. Villagers dispute that and say authorities systematically deny their right to build. 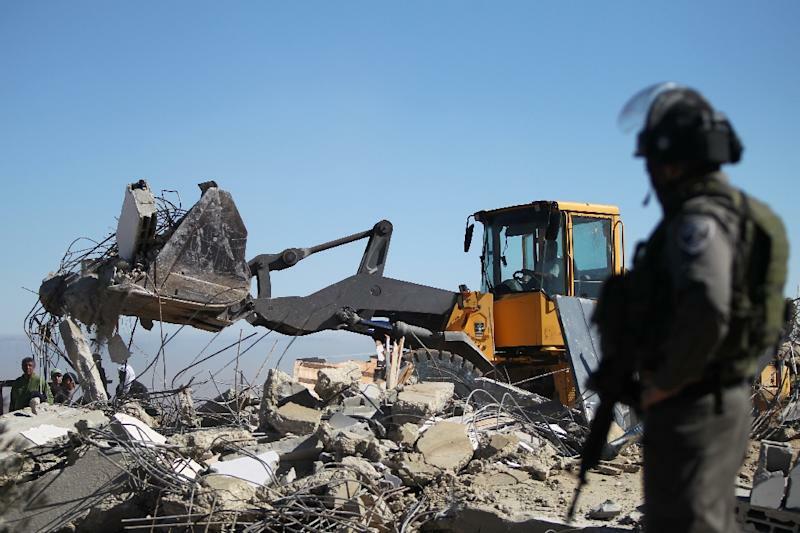 The Israeli Supreme Court in May refused to freeze the demolition orders. As the villagers' US journey wound down, the influential California Senate Democrat Feinstein heard the Susiyans' call, and posted six messages Friday on Twitter: "Israel should not destroy these Palestinians' homes. It will only inflame an already difficult situation," she wrote. 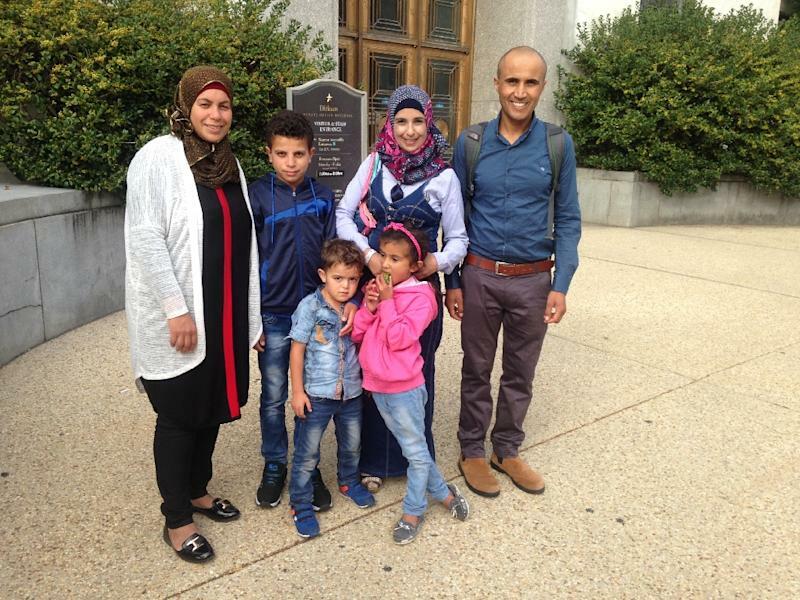 Feinstein met with Fatma and her group, providing them access to a grand meeting room Monday for their Senate briefing. The lawmaker, who is the top Democrat on the Senate intelligence committee, wrote to Netanyahu about the village in July. It was the group's only meeting with a member of Congress. But the Rebuilding Alliance said the NGO helped secure contacts with various other lawmakers' offices. Simple phone calls from senators and congressmen to the State Department or Israeli diplomats in Washington could have a major impact, especially with the approach of Netanyahu's visit to Washington in November. "The Israeli embassy has three floors devoted for responding to members of Congress," said Donna Baranski-Walker, executive director of Rebuilding Alliance. "It's not us as individual citizens that will get a response, but our members of Congress, the people who represent us, will certainly get a response." To date, 12 other Democrats have pressed Secretary of State John Kerry to act urgently on the issue. Baranski-Walker said she was surprised that no Republicans have done so, especially given how the expropriation of land by the state is something to which US conservatives are fiercely opposed. An anecdote illustrates the formidable influence US lawmakers have in Israel. One day Baranski-Walker came to see the Israeli official signing the demolition orders. The man asked if she was a US congresswoman. When she said no, the official told her he had recently received a personal letter from an American lawmaker, translated into Hebrew, that she said had clearly made an impact on him.